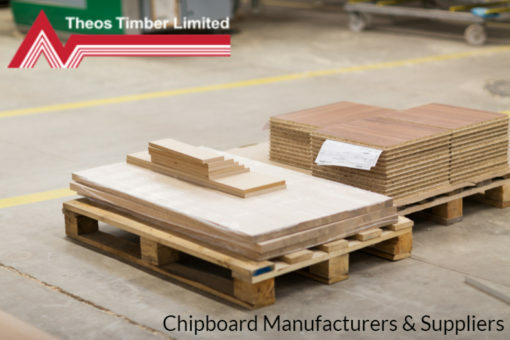 At Theo’s Timber Ltd, we provide you with different types of chipboards. We are proud to be a top chipboard supplier in Manchester and all across the North West of England. Our wide variety of chipboards and chipboard products is available to various industries including; construction, furniture, and interior design. The chipboards are available in various coatings and sizes to suit different applications. We can provide you with your customised chipboard products if you have specialised needs. We make them suit your preferred level of strength, thickness, and board size. We have state-of-the-art facilities that make it possible for us to provide you with the exact product that you want. Quality and your satisfaction are our top priorities. Our chipboards are a cheaper alternative to plywood. We can veneer them if you are looking for a solid wood look and feel. They are, therefore, suitable for your interior projects. We, however, do not recommend chipboard for outdoor furniture as it may not be able to resist weather elements. We have flooring grade chipboard in the measurement 2,400 x 605 mm. The panels have slots for easy interlocking. Flooring grade chipboard is also available in a version that has a tear-off strip. It helps to maintain neatness on the edges. It is important to note that our moisture-resistant chipboards are not waterproof. You, therefore, cannot use them for outdoor applications as they cannot withstand weather elements. They cannot withstand extreme wetting such as a flood or plumbing leak. They can, however, withstand occasional spillages and an increase in humidity. If your chipboards are exposed to serious wetting, you should consider replacing them. We are reliable chipboard manufacturers in the UK with lots of experience. If you are looking for a chipboard supplier, we are glad to help regardless of whether you are running a large or small project. If you have an on-going project, we will be glad to provide you with the supplies you need. You can buy directly from us for your convenience. We are run by a family but we do not shy off from the supplying job. Stay on our website to have a look at the products you wish to purchase. You can also get more information about the company and what makes us a top chipboard manufacturers UK. We have excellent customer care services. Good quality is our priority and we do our best to ensure that you get the best service possible at all times. We offer custom size services for your convenience. Contact us today on 0161 834 6789 or fill in your details below and we will get back in touch as soon as possible. Our knowledgeable members of staff will always speak to you in a friendly and professional tone. Our priority is to give you the best assistance possible. You can depend on them because they have the relevant training and experience to give you advice if you need it. They will listen to you, understand your project, and advise you on the right solutions and products.